We have talked about a lot of big companies making a fortune through social commerce. Here I want to introduce what’s more common in China – Some people make their life through social commerce, even though they don’t have a company. And more than 1 million RMB (U.S. $156,000) is brought in every day on WeChat, a popular social messaging APP in China (see the blog attached). 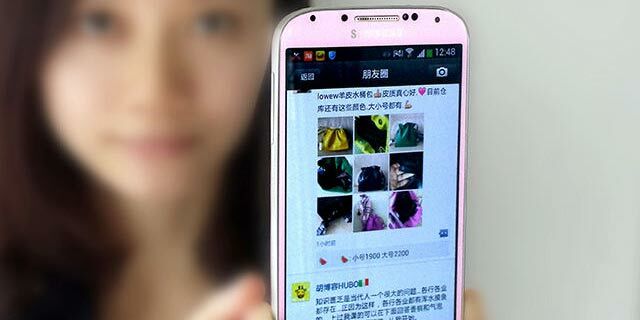 WeChat was designed as a way to communicate, but right now it has developed as a social commerce platform. WeChat is a Chinese socializing APP through which people can send message and share their personalized. It’s widely used within China and some parts around the world, but mostly among Chinese. There’s part on WeChat App that’s called ‘Moment’ where one can post what they want to show people, and here’s also where WeChat users begin their WeChat Business. In ‘Moment’, people can sell things to every part of the world once a deal is made, and such C2C pattern is really popular among Chinese people. In general, there are two types of WeChat Business, one is B2C and another is C2C, and I want to emphasize the C2C pattern on WeChat, since it’s more commonly seen around us. So what can be sold from person to person? Here’s some typical purchases. Luxuries bags and clothes, for China has high income tax on those things, and people want to buy it from overseas at a much lower price. Baby formula milk powder, since the quality problem of main Chinese milk powder companies occurred a few years ago, more and more new parents would choose to buy milk powder from overseas. We usually call the selling mentioned above ‘Overseas Purchasing’, and the seller are usually people who stay overseas for a long time, like international students. Chinese international students are more likely to run one or two business when they go on their studies overseas, and what’s surprising is that some of them even make their living expense out of it. On WeChat Business, two things are important: one is that, you don’t post what you want to sell, but you sell what your customers need. And the other is that, you need to use you social relationship to promote your sales. People usually post where they live overseas and their WeChat account on their Moment, and their friends will repost the information with some words to show how this friend is trustworthy or the quality is good or the price is low, etc. 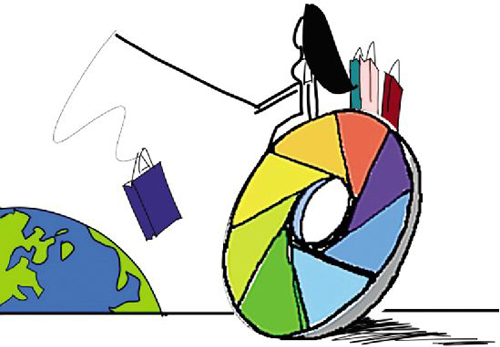 And the potential customer will contact the seller in person to personalize the purchase with special need. The reputation then spreads, and if everything goes well, it indeed can make a good fortune. It’s not always successful, however. Basically speaking, those business people are not real business people, since they don’t have some legitimate license to run the business, and the tax is also a problem. Sometimes, people who focus too much on their business online may get defriended by some of the friends, for it seems so strange that a place for friends’ sharing lives becomes a trade market. 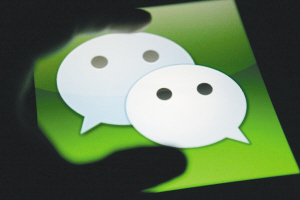 WeChat business is indeed blooming in China and a lot more people can’t wait to jump into it. What’s the future of this C2C social commerce? It’s hard to say. In the long term, when the policies is getting more strict and the competition becomes more fierce, maybe this industry may go down, but another social commerce will definitely show up, as social commerce is a trend, it’s just the way how people do the things in the future. This entry was posted in Uncategorized by amber439322ym. Bookmark the permalink.